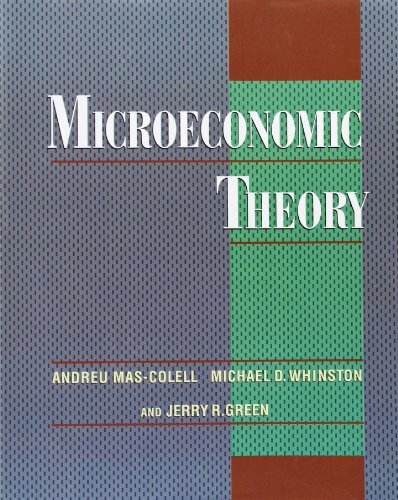 This textbook aims to provide a comprehensive overview of the essentials of microeconomics. It offers unprecedented depth of coverage, whilst allowing lecturers to 'tailor-make' their courses to suit personal priorities. Covering topics such as noncooperative game theory, information economics, mechanism design and general equilibrium under uncertainty, it is written in a clear, accessible and engaging style and provides practice exercises and a full appendix of terminology. Mas-Colell, Andreu; Whinston, Michael Dennis; Green, Jerry R.
Mas-Colell, Andreu/ Whinston, Michael Dennis/ Green, Jerry R.